Which Stranger Things Actors Share Your Zodiac Sign? Zodiac signs aren&apos;t just great tools for learning more about ourselves. They can also provide some interesting insights into the actors you admire. That&apos;s why we&apos;ve broken down the biggest stars of Stranger Things and organized them by their zodiac signs below. Keep reading to find out which stars share your zodiac sign, and what that might reveal about you. The Stranger Things cast is packed with Aries, and for good reason. The sign is characterized by a powerful passion for their craft and their bold courage, even when things get a little scary. Those traits come in handy when you&apos;re playing a role, whether you&apos;re a tomboyish skater or an evil research scientist. Taurus is a sign known for their grounded dependability and often acts as the mom of their friend group, which feels like an apt description of Joe Keery. In the second season of Stranger Things, Steve evolved from a jerky boyfriend to a protector who&apos;d lay down his life for the kids he cares about. In real life, Joe also seems like the big brother his younger castmates never knew they needed. Gemini is a sign known for duality, and though we haven&apos;t yet been introduced to Jake Busey&apos;s character in season three of Stranger Things, we do know that he&apos;ll be playing a foul-mouthed reporter in the role. Though he has a history of playing intense and off-the-wall characters, he seems like a pretty nice guy in real life. According to the latest trailer, it looks like his character may also become a bit zombified at some point, so his character might also have two sides to him. Cancer is a sign marked be sensitivity and intuition, so it&apos;s apt Shannon Purser&apos;s Barb and Linnea Berthelsen&apos;s Kali each play emotionally important roles in their respective seasons. Though we only spend a brief time with their characters, they manage to get into our hearts, and their actions are pivotal to the momentum of the story. Though we don&apos;t yet know a lot about Maya Hawke&apos;s character, Robin, she might play a similar role in season three. Leo is a sign that was born for stardom and loves the spotlight, so it only makes sense that identical twins Anniston and Tinsley Price, who both take turns playing Holly Wheeler, would fit under the sign. They&apos;ve both been acting since they were babies and are total naturals on-camera, and we think they have even bigger acting careers in front of them. 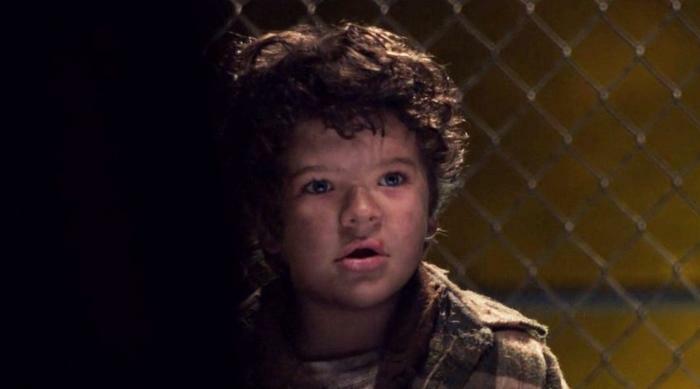 Virgos are known for their loyalty, hard work and perfectionism, and those words describe Gaten Matarazzo to a T. Not only has he been acting on the stage and screen from a young age, but he&apos;s also done great work to raise awareness people about his experiences with cleidocranial dysplasia. He uses his work to educate people, with is peak Virgo. The Stranger Things cast is also packed with Libras. The sign is known for their ability to work well with others and their desire to keep the peace and keep everyone happy, so most people love to have them around. Priah Ferguson and Caleb McLaughlin make the perfect onscreen siblings in Erica and Lucas, and Noah Schnapp joins in to form one of the sweetest trios ever. Scorpios are known for being as charming as they are mysterious. Both Winona Ryder and Cary Elwes are known for playing quirky roles in the &apos;80s and &apos;90s, starring in films that are as beloved as they are unusual. The sign tends to not reveal too much about their personal lives to people beyond their tight-knit inner circle, so the fact that Winona Ryder doesn&apos;t have her own Instagram page makes so much sense. Dacre Montgomery may play totally evil bully Billy in Stranger Things, but in real life, he&apos;s a giant sweetheart. Sagittarius is an optimistic sign that sets their expectations very high, even though they can&apos;t always follow through on it. Dacre&apos;s high school superlative was "most likely to become a Hollywood celebrity," and it seems he&apos;s managed to achieve just that. He&apos;s also a Power Ranger, which is basically Sagittarius personified. Capricorns are marked by their dedication and hard-working natures, and Finn Wolfhard and Natalia Dyer exemplify those traits both onscreen and off. In Stranger Things, brother-sister duo Nancy and Mike don&apos;t always see eye-to-eye, but they&apos;re both leaders who always rally people together to do what&apos;s right. But they&apos;re just as diligent in real life. On top of his busy acting schedule, Finn even manages to continue playing in his awesome band, Calpurnia. How does he do it? Independent, free-thinking Aquarius is a sign that plays by its own rules and doesn&apos;t conform to anyone else, which describes both Charlie Heaton and his character, Jonathan Byers. Neither cares all that much about fitting in or being anyone but themself, inspiring the rest of us to embrace our inner weirdo. That&apos;s a message we can really get behind. Pisces are known for their compassion and generosity, and both Millie Bobby Brown and Sean Astin seem to have those traits in spades. They&apos;re always a delight to watch in interviews, and their character definitely comes across in their characters as well. Spoiler alert: The first two seasons each end with a character played by a Pisces actor sacrificing their life so that the people they care about can survive. We think that&apos;s a pretty powerful indication of the strength of the sign. 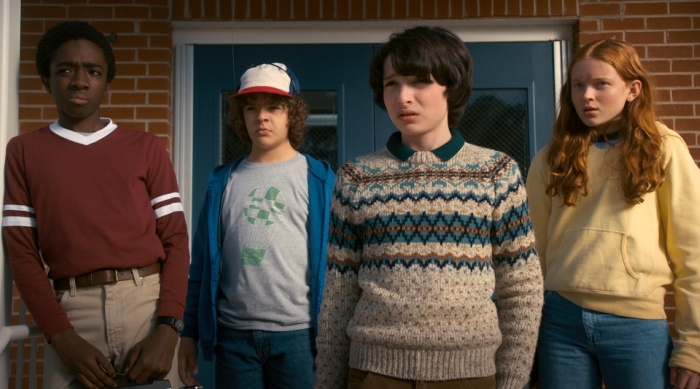 For even more on zodiac and Stranger Things, click HERE to find out the Stranger Things character that best fits your personality, based on your zodiac sign. 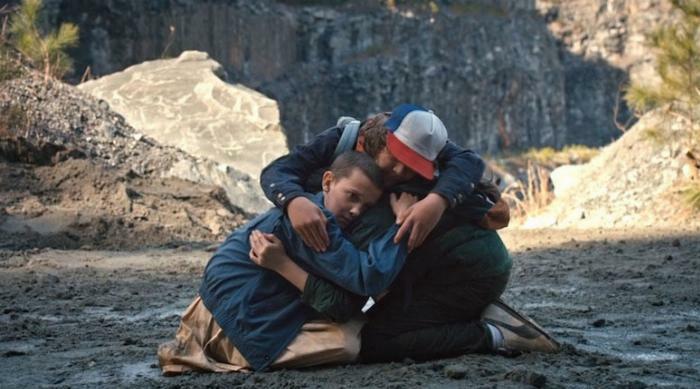 QUIZ: Which Stranger Things Character Is Your BFF?